When you suffer from arthritis or carpal tunnel syndrome, you may feel constant pain, stiffness, and achiness in your hands. You can relieve this pain by performing simple stretches in your hot tub or therapy pool near Birmingham, AL. Watch the short video for a quick demonstration of some hot tub hand exercises. Perform these exercises in the warm water of your hot tub to get the most benefit. Curl your fingers up and down to perform the knuckle bend exercise. Extend your thumbs to your pinky fingers for a good thumb stretch. Gently pull back each finger for an easy finger stretching exercise. Interlock your fingers and push them away from your body to stretch out your wrists. You can also stretch your wrists by interlocking your fingers and rolling both hands in a figure eight shape. The myths that surround pool owning are detrimental, because they stop people from experiencing the joy and benefits of swim spas and above ground pools. Many homeowners believe that a pool or swim spa installation in Birmingham, AL , is too expensive or will require too much maintenance. 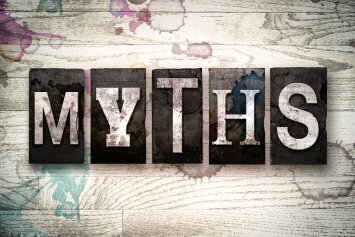 These are detrimental myths that should be resisted at all costs. Continue reading for the truth behind these prevalent myths about owning a pool. This is usually a homeowner’s primary reason for not buying a pool, but it does not hold true for above ground pools. In-ground pools often cost tens of thousands of dollars and significant damage to the landscape. However, above ground pools and swim spa installations are inexpensive additions, and they will not disrupt the surrounding landscape. Above ground pools are also portable, which means they can come with a homeowner if he or she decides to move. Pools do require maintenance to ensure that they are free from dangerous bacteria, algae growth, and other harmful contaminants. Their maintenance requirements do not need to take up much time for a homeowner, though. Daily skimming and pool covers can reduce debris, and a pool maintenance professional can add the necessary chemicals on a weekly or monthly basis. Many homeowners resist owning a pool for fear that their children or pets may be in danger. The risk of injury or drowning can be reduced with swimming lessons, supervision, and pool safety additions. Pool fences, pool covers, and alarms are just a few ways to reduce accidents in or near a pool. Homeowners may fear the added costs of owning and maintaining a pool. Utility bills, such as water and electricity, can increase with the addition of a pool. However, these costs are typically only $20 to $50 a month, and they can be offset by savings on other forms of recreation and entertainment. Which Swim Spa Is Right for You? If you want to get in shape and increase your physical activity in the coming year, now may be the time to think about scheduling a swim spa installation for your home. A swim spa will allow you and your family members to swim, play, and perform aquatic exercises in the comfort of your backyard. With services from a company that installs fiberglass pools in Birmingham, you will be able to pick out the ideal swim spa for your lifestyle and fitness goals. Let’s compare two of the top swim spa models to help you decide what type of swim spa is right for your needs. The H2X Swim Spa among the most innovative swim spa units that are on the market today. When you choose to install a new H2X Swim Spa on your property, you will enjoy the many benefits that this type of swim spa has to offer. Some of the key features of an H2X Swim Spa include its flat floors, comfortable seating, and powerful jets. The H2X model is large enough for aerobic swimming and aquatic therapy training. Whether you are in need of a swim spa for training or play, you are sure to enjoy the sleek features and innovative design of the H2X. The Michael Phelps Signature Swim Spa is the namesake model for Olympic swimmer Michael Phelps. This state-of-the-art swim spa has been engineered with the aspiring athlete in mind. One of the key benefits of the Michael Phelps Signature Swim Spa is this model’s beautiful design. The sweeping curves and graceful good looks of this swim spa will make it a beautiful addition to any backyard. The Michael Phelps Signature Swim Spa also features a patented Wave Propulsion™ Technology System, which will help you advance your training. If you are a serious swimmer, you will want to be sure that you explore all of the terrific benefits that are offered by the Michel Phelps Signature Swim Spa. Fiberglass swimming pools and swim spas require routine care and maintenance in order to remain in clean, appealing condition. If you are handy around the house, you may find yourself tempted to perform you own pool maintenance and repairs. However, your spa or pool repair should always be left to a licensed swim spa contractor near Birmingham. A reputable contractor will have the training and tools that are needed to perfectly maintain your pool. There are several reasons why you should always trust the pros with your swimming pool maintenance. Without professional assistance, you could run the risk of damaging your pool during your DIY repair procedure. 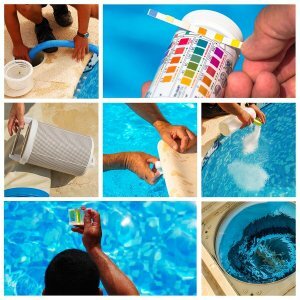 Your swimming pool contractors will also be able to identify and fix any hidden repair issues that are affecting the quality of your pool. Finally, professional pool maintenance can help you save money on the cost of long term pool repair. 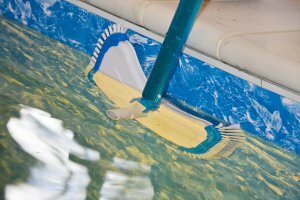 If your fiberglass or therapy pool needs some attention, your swimming pool pros will be thrilled to assist you. For more than six decades, Doughboy has been a leading manufacturer of above ground swimming pools. When you watch this video, you will take a tour of some of the terrific advantages that Doughboy fiberglass pools can provide to your family. The team at Doughboy Pools is committed to outperforming the competition and providing their customers with the best in longevity and safety. A company that offers fiberglass swimming pools in Birmingham can provide you with more information about the advantages of a Doughboy Pool installation. To learn about the features that Doughboy fiberglass pools have to offer your family, do not hesitate to get in contact with your pool installation expert. Your above ground swimming pool will allow you and your loved ones to create a lifetime of memories. When you install a new hot tub on your property, you will create the perfect space to kick back and relax after a long day. As you are comparing different hot tubs for sale in Birmingham , you may come across a variety of hot tub and swim spa models. By comparing the differences between hot tubs and swim spas, you will be able to make sure that you are choosing the right product for the needs of your family. To help you gear up for your new hot tub installation, here is a look at some of the differences between hot tubs and swim spas. Hot tubs and swim spas differ primarily in the ways that they are used. When you install a hot tub on your property, you will typically use its warm water and jets for relaxation and entertaining. Swim spas, by contrast, are large enough to accommodate swimming and other aquatic activities. If you are seeking a larger unit that can fit every member of your family, a swim spa may be the right choice for your needs. Another difference between hot tubs and swim spas is the relative maintenance requirements of each type of unit. Hot tubs and swim spas both need to be maintained on a weekly basis in order to ensure that they are clean and ready for use. If you install a swim spa that is larger than a typical hot tub, you may find that your system has additional maintenance requirements. After you have used your hot tub or swim spa for several years or longer, it may require routine repairs from a certified technician. Large swim spas can take more time and effort to repair than compact hot tub units. If you are shopping for a hot tub or swim spa that will have low repair and maintenance requirements, a compact hot tub may be ideally suited for your needs. Your hot tub installation expert can provide you with additional information about all of the hot tub products that are available for your home. An above ground pool will provide you with all of the benefits of a home swimming pool, but at a lower cost. As you are preparing for a spa tub or hot tub installation in Birmingham, you may want to ask your contractor about the above ground pool options that are available for your home. The Doughboy Above Ground Pool is a stylish and luxurious pool that your entire family is sure to enjoy. To help you decide on the right pool for your household, here is a look at the benefits of a doughboy above ground pool. One of the most striking features of the Doughboy is its terrific style. When you install a new Doughboy in your backyard, you are sure to enjoy its premium materials and eye catching construction. Since the Doughboy is up to 52 inches in height, it offers all of the durability and commanding style of a conventional above ground pool. You can also choose to enhance your Doughboy with pool decking and other premium features. When you choose a new Doughboy for your family’s recreational needs, you will benefit from the unique expansion capabilities of this model. The Doughboy will allow you to expand the base of the pool to choose from a pool depth that ranges from four feet to seven feet. If you have avid swimmers in your family, they are sure to enjoy the depths of the seven foot deep end of this pool. A top advantage of the Doughboy is its affordable price. Choosing a Doughboy over a conventional inground pool installation will allow you to save thousands of dollars on the cost of installing your new pool. If you have been dreaming of a new pool, but weren’t sure whether the cost was within your reach, you will be pleased to find that the Doughboy is an affordable, durable, and stylish option for your home pool installation. When you install a new outdoor hot tub on your property , it will be up to you to make sure that your unit is properly maintained. With a few simple maintenance tasks, you will be able to keep your hot tub running great throughout the years and seasons. A company that offers hot tub repair in Birmingham can help you create a maintenance schedule for your spa. By sticking to this maintenance schedule, you can ensure that you are performing the correct procedures at the appropriate intervals. Your hot tub maintenance schedule will start with a daily checklist. Every day, you will want to inspect the hot tub cover and remove any fallen debris from the water. A few times a week, it is also necessary to check and balance the pH and chemistry of your hot tub water. Occasionally, you will also want to check and clean your hot tub filter and other essential mechanical components. When you install a new swim spa in your backyard, you will enjoy all of the benefits of aquatic exercise. In this video, you will take a look at some terrific exercises that you can perform in your H2X Swim Spa . This unique swim spa is suited for all levels of aquatic exercise, and is also large enough to accommodate different types of aquatic exercise equipment. A company that offers swim spa installation in Birmingham can provide you with exercise tips for your new spa. To learn more about swim spa benefits, do not hesitate to get in touch with swimming pool installers in your area. With assistance from a swim spa company, you will be able to install a durable H2X Swim Spa in less than a day. If you are seeking a great way to kick back and relax during the winter season, you may want to consider installing your very own hot tub in your backyard . 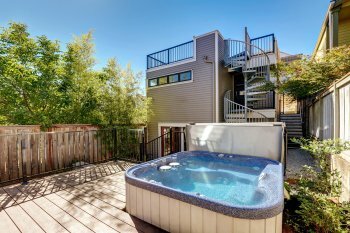 With a new hot tub, you will provide you and your loved ones with a warm and cozy space to relax, rejuvenate, and enjoy the outdoors. A company that offers hot tub installation in Birmingham will be able to help you select the hot tub of your dreams. To help you get inspired for your upcoming hot tub installation, here is an overview of some hot tub designs that you may want to consider for your home. For homes that already contain pools, overflow spas are a perfect fit. With an overflow spa, your hot tub will naturally flow into your pool area. When you are designing this type of hot tub, you can choose to create 360-degree overflow perimeter that allows you to enjoy your spa from every angle. Overflow spas can also be accented with beautiful lighting, comfortable jets, and more. 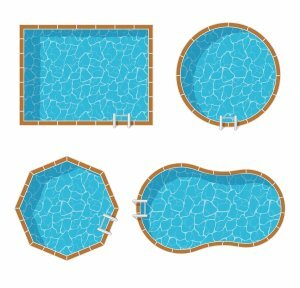 Vanishing edges are a top trend for both hot tub and pool designs. If your property has a beautiful view, you can choose to frame the scenery with an infinity hot tub design. To further incorporate the beauty of nature into your new spa, you can include natural elements, such as boulders or rock outcroppings. A new landscape design will complete the natural look and feel of your vanishing edge hot tub. The warmth and comfort of a hot tub will naturally provide you with a tropical feel. To promote the tropical environment that is created by your hot tub design, you may want to consider planting lush foliage around your new hot tub installation. A tropical themed hot tub will also create a natural gathering area for your family and friends. The right plants can add privacy and beauty to the area surrounding your new hot tub.